Game Development with Open Hardware and Free Software. On 21/12/11 at TheHackerspace we made 3 presentations on game developing by using open hardware and free software. Specifically, the presentations were: a) competitive multiplayer game for reinforcing visual skills and reflexes implemented with Arduino, b) engine for moving various sprites in two-dimensional games implemented with Python and Pygame, c) various games with Arduino and Gameduino. TheHackerspace – Security & Arduino Workshop! The first openSUSE collaboration weekend camp was held in Katerini on 15-17 July 2011. There was also a workshop according to the programme held by TheHackerspace on “Security & Arduino” which included the presentation of two embedded security systems both at hardware and software levels. 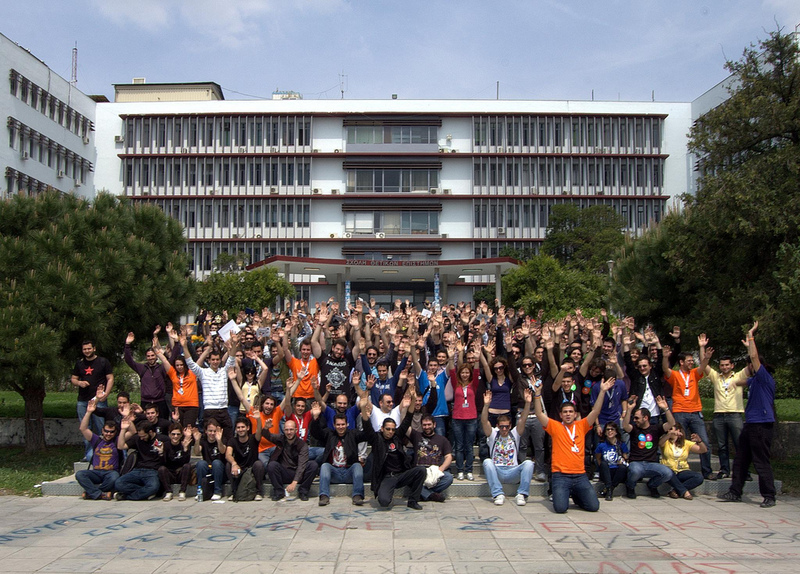 TheHackerspace (Thessaloniki’s Hackerspace) is here! We announce that at 7.00 pm on Thursday 30/6 we organize a kick-off event for the presentation of TheHackerspace at the Art Cafe “Kokini Klosti Demeni” which is the permanent meeting place at 32 Nicosia Street, Kalamaria, Thessaloniki. Come to get to know us, to see you and share ideas! The TheHackerspace is an open laboratory for research, collaboration, creativity and learning. But above all, it is a vibrant community of people with ideas and concepts stemming from the philosophy of Free Software / Open Hardware. The idea for the project was started a few months ago by people who love Hacking, both software and hardware, and soon was put into practice with passion and desire to contribute to the community. Our moto is “Love to hack embedded & operating systems!“. 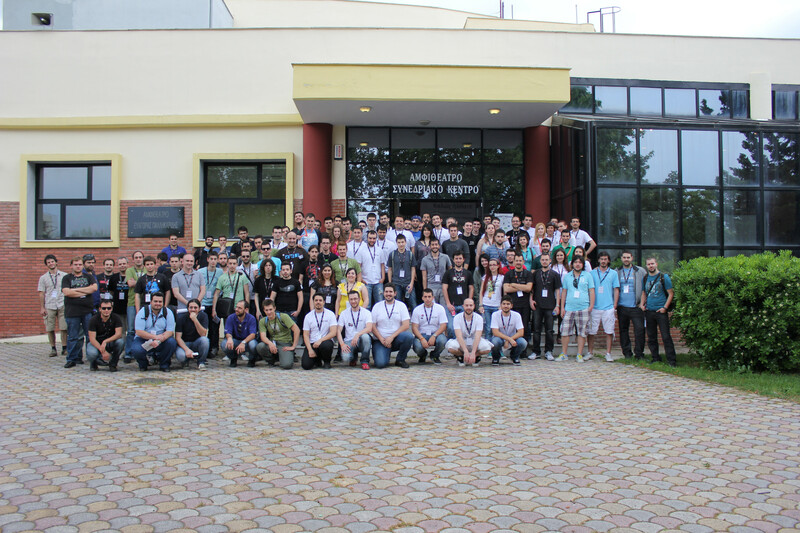 Completion of the fifth seminar of the ARDUINO open source electronic platform. Network implementation of wireless radio communication between two embedded nodes (identification node ​​and control node) for the remote control of devices via digital identification and recognition of physical objects using the Arduino platform. 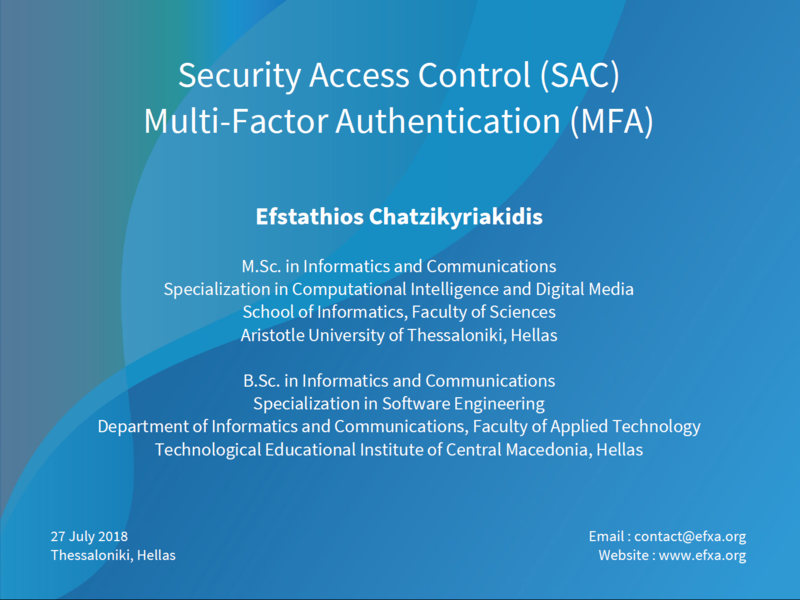 I feel I must express a very big thank you to the Association of Greek Users and Friends of FS / OSS, especially the living people behind it who are perfectly respectable and cooperative personalities, open minded and with a progressive dynamic potential, giving me the opportunity through this cycle of free workshops to distribute freely my knowledge and my experience on the world of Embedded Systems. Fifth seminar on the open source electronics platform ARDUINO. Network implementation of wireless radio communication between two embedded nodes (identification and control node) for the remote control of devices via digital identification and recognition of physical objects using the Arduino platform. Important Notice: It is necessary to attend this seminar for obtaining certifications by those who attended the Arduino seminars organized by the GreekLUG in the year 2010 – 2011. 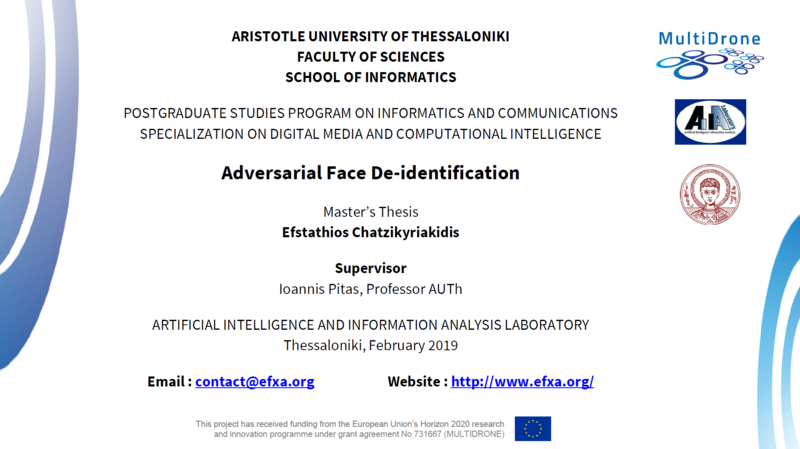 The presentation will be made by the Informatics Scientist and Communications Engineer as well as Arduino hacker, Efstathios Chatzikyriakidis on what is the first thesis based on the Arduino in Hellas. The event will take place at 17:00 on Sunday, May 29, 2011 in the Computer Laboratory of the Department of Economics, University of Macedonia. 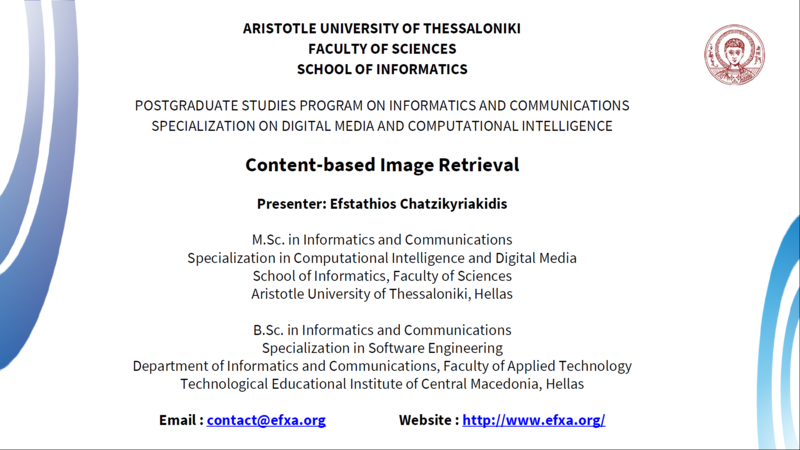 FS / OSS 2011 Conference (Thessaloniki). The Free Software / Open Source Software Association (FS / OSSA) recently organized a conference entitled “Open Source: Opportunity Development” in various cities. 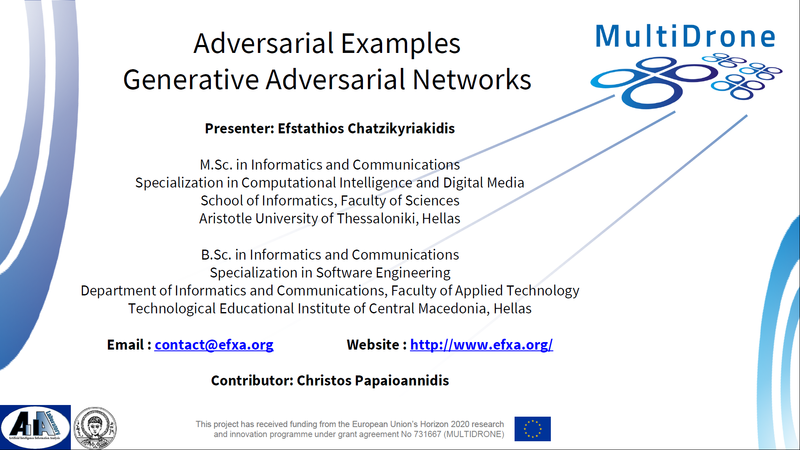 Also, last Sunday (22/05/11), I had the opportunity to attend the one-day workshop held at the University of Macedonia in Thessaloniki. Presentation at T.E.I. of Central Macedonia with topic “Genetic Routing”. Within the framework of the course “Computer Networks III – Theory” (Department of Informatics and Communications, T.E.I. of Central Macedonia) we were asked to write a presentation related to the content of the course. The topic of my presentation was Genetic Routing. Completion of the fourth seminar of the ARDUINO open source electronic platform. On Sunday 19th December 2010, there was the fourth seminar on the ARDUINO open source electronic platform in the same place where the previous one was also held. In the presentation of the fourth seminar, we studied cases of use of wireless communication with ARDUINO. Initially, we discussed the basics and the theoretical aspects of wireless communication, the advantages and disadvantages in radio and infrared communication. Fourth seminar on the open source electronics platform ARDUINO. The event will take place at 17:00 on Sunday, December 19, 2010 in the Computer Laboratory of the Department of Economics, University of Macedonia. Completion of the third seminar of the open source electronic platform ARDUINO. On Sunday 05/12/10, there was the third seminar on open source e-platform ARDUINO held at the same place as the previous one. The presentation was attended by several people whose interest for the ARDUINO was remarkable. The questions during the presentation and especially at break time were numerous as well as interesting. Third seminar on the open source electronics platform ARDUINO. The event will take place at 16:00 on Sunday, December 5, 2010 in the Computer Laboratory of the Department of Economics, University of Macedonia. Completion of the second seminar of the open source electronic platform ARDUINO. On Saturday 20th, November 2010 there was the second seminar on open source e-platform ARDUINO held at the same place as the previous one. It was also wonderful that the event was attended by scientists from different disciplines, such as engineers, artists, programmers, etc. Second seminar on the open source electronics platform ARDUINO. The event will take place at 17:00 on Saturday, November 20, 2010 in the Computer Laboratory of the Department of Economics, University of Macedonia. Completion of the first seminar of the open source electronic platform ARDUINO. First of all, as a return gift of gratitude, I owe a big thanks to both the FS / OSS Association, who gave me the opportunity to freely share my knowledge and my experiences about the world of ARDUINO with you through the cycle of seminars started on Sunday 24/10/10 as well as to all of you who attended the first seminar filling the hall of the laboratory with your presence and your interest. Infosystem 2010 – T.E.I. of Central Macedonia. It was a very interesting experience for me to participate in the mission of the Department of Informatics and Communications of the T.E.I. of Central Macedonia in Thessaloniki, where the Department took part in the Infosystem 2010 exhibition.